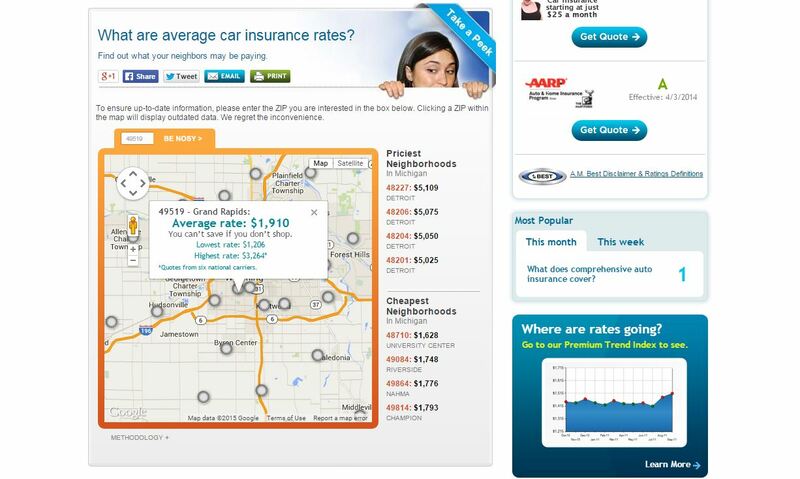 Despite arguments that your driving record or your state’s consumer/auto shop-friendly legislation are responsible for your high insurance rates, the premiums are really tied to your ZIP code, Carinsurance.com found in a new study. As the Car Connection put it Monday, it’s your neighbors that are responsible for the costs. The real reason for high insurance is the risk level of the ZIP code — the likelihood that a vehicle would be stolen, vandalized, or damaged there and result in a claim. That determines your baseline rate. This also invariably leads to poor people with good driving records getting charged more for car insurance because they live in lousy neighborhoods, as the Baltimore Sun noted Monday. It can also lead to a vicious cycle — insurance gets too high, so otherwise responsible low-income residents are priced out of it, leading to more uninsured drivers, which then raise rates for the rest of the population. “Car insurance companies assess many factors when setting rates, and your location is chief among them,” Carinsurance.com wrote. Either way, these non-repair-related factors all bolster shops arguing for auto insurance reforms at state Legislatures. 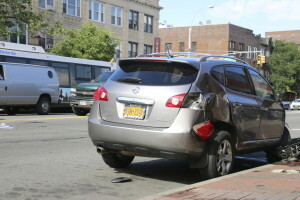 However, collision claims do result in higher rates — but that seems to be linked more to the statistical likelihood that a claimant will file another one sometime rather than the repair itself, according to an insuranceQuotes.com report today citing Insurance Information Institute spokesman Mike Barry. InsuranceQuotes.com and Quadrant Information Services calculated that the average rate would rise 41 percent after a $2,000-plus property claim. Comprehensive claims, which could require the services of a body shop, would increase rates 2 percent. InsuranceQuotes.com also noted that the average property claim in 2013 was $3,231, and the average comprehensive filing was $1,621. In three to five years, rates start dropping back to where they were, according to Barry.